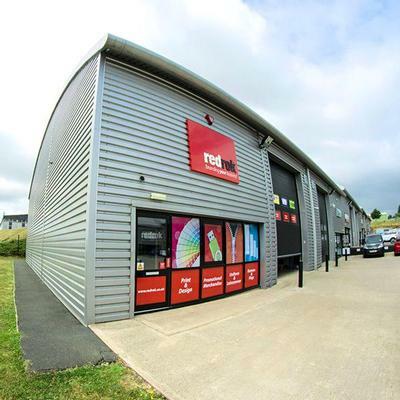 Redrok was established to help your business achieve it's full potential by offering innovative and inspirational merchandising and print products. Our experience and passion for providing the highest levels of service has helped us to build and maintain lasting relationships with our customers. It is with these lasting relationships that we believe sets us apart from our competitors and will only serve to push Redrok forward in the future. Redrok is more than just a creative marketing outfit. The fabric of our company is in understanding how our customers sell, and what support they require to maximise their strategic effort. That’s why we offer such a range of services under one roof – from creative design to direct marketing campaigns. Redrok work harder to make your marketing budget go further, delivering innovative and creative solutions that add value. Redrok are the complete package. Exactly what you need when you want someone to take the stress and pressure out of a project. Nothing is out of reach for the team, who go above and beyond to make sure that you meet your deadlines and hit your targets. They have delivered project after project for me over that last three years and I have really seen the business and team at Redrok grow to support the expansion. Whatever your next marketing project, you can be sure the team at Redrok will make it as smooth as possible, suggesting new ideas to make sure you are always one step ahead of competitors. Working with Gavin has been nothing but an absolute pleasure and has helped me on countless occasions assisting me to deliver complex projects. His experience and industry knowledge is paramount and I am lucky to have such a personable contact such as Gavin to assist me. I look forward to working with him for many years to come! I have been working with David and his team at Redrok on a number of diverse projects since the start of the year. The service they have provided has been exceptional, very quick turnaround on design work, providing samples and pricing, and all done with a smile. Would not hesitate to recommend them to anyone. David Williams is highly motivated, proactive and passionate about his work. Always keen to work with us on new innovative promotional ideas, his customer service and attention to detail is second to none. David is a pleasure to work with and I would not hesitate in recommending him and the Redrok team. We are really pleased with the merchandise from Redrok, the print quality is great and the team were really helpful. They have adapted our current branding and graphics to work perfectly on these new items. I have been dealing with Redrok for many years and the professional service I receive is great. Nothing ever seems to be to much of a problem for them, even if it a last minute thing I need, they always deliver.